Congratulations to our upper school sophomores, Chelsea Luo, Olivia Wen, Grace Hutapea, and Se Young Choung on their 3rd place finish at this year’s Green Dream Competition on April 8th. The competition was part of the 10th University of Guam Regional Conference on Island Sustainability held at the Hyatt Regency Guam. Participants were challenged to create practical, replicable, and affordable sustainability projects intended for island residents. 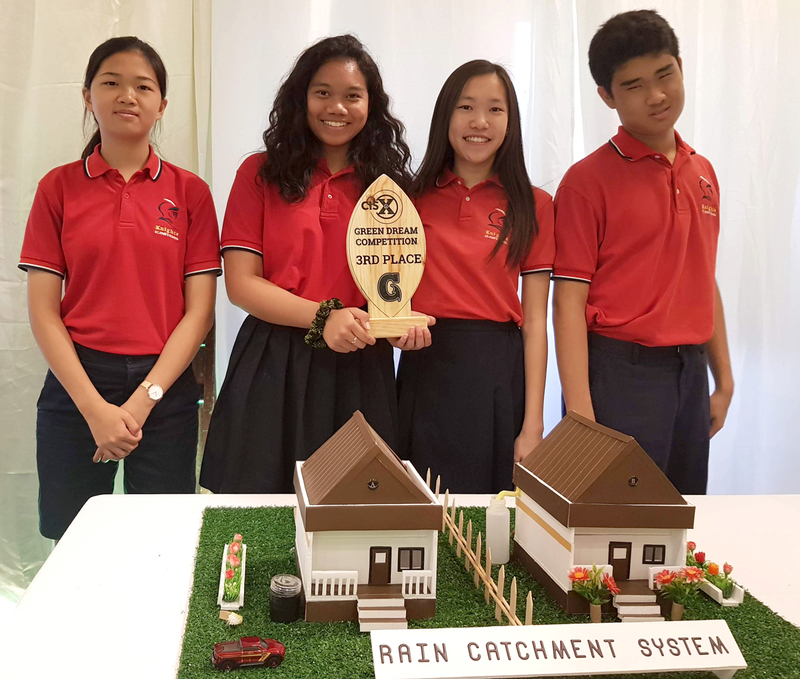 St. John’s team focused on a rain catchment system that would be feasible for a typical resident. They supplemented their project with impressive research and statistics.